The Joyride is the full metal version of the First Base. Although it shares the same round shape as the First Base, Joyride plays like a completely different yo-yo. The simple, step-less shape and the fingerspin scoop on the side face give it a unique weight distribution, and it feels comparatively more nimble than its weight would suggest. 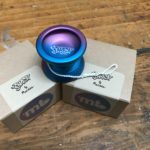 Although the Joyride retails at $45 we have included 2 exclusive Monthly Throw bearings and some string to even the box out at a cool $60.00. The colorway on this Joyride is exclusive to the Monthly Throw for the season. 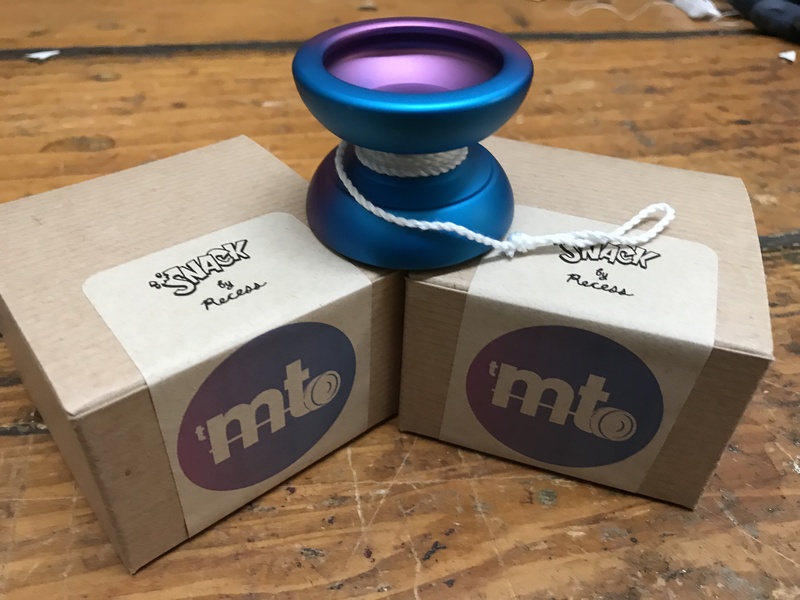 This month’s throws are from VOSUN. 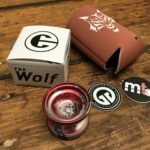 That’s right throwS, we decided to give this months box some flare and throw in two for the price of one. The Vanquish (8S series) plays with power and stability and well above it’s cost. 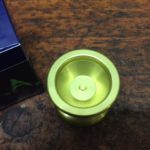 The EZSPiN (O1) is made with a popular shape and is a good quality for all players. They come in varying colorways but is a great deal for this months box at a retail value of $70.00. Check out Vosun at- http://www.yo-yo.in/ for more info. 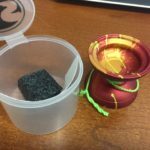 This month’s throw is from UNPRLD. 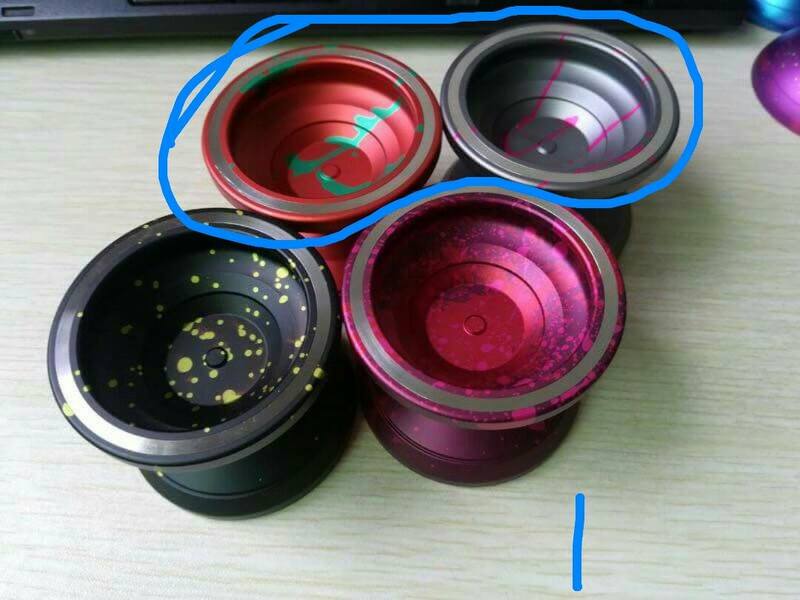 The FLASH is Yuuki Nishisakos signature yoyo. Designed for stability, speed, control and precision. The bump at the bottom is created for maximum control for sideways play. The flare at the end gives it a wide catch zone without accidents, and the weight is distributed towards the outer end and the center to create a powerful spin without feeling heavy. 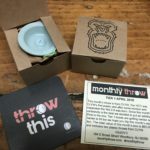 The total retail value of this Month’s throw is $160.00. 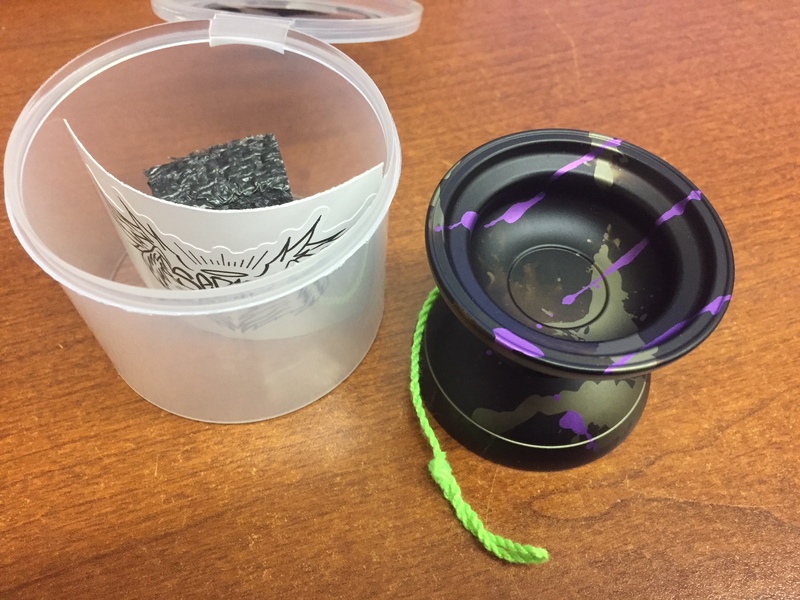 This month’s throw is from 2Sick. 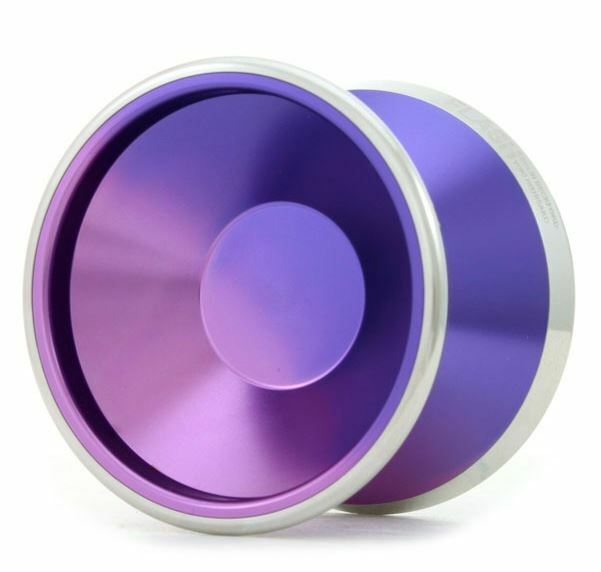 The SERAPH is 54.06mm Diameter 45.16mm Width ~65g (+/- .5g) 4.4mm Gap 19mm response . 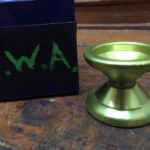 This is the signature yoyo of William Murphy. The box also includes a 10 pack of Kitty Long string in varying colors. Colorways may vary between-Flamethrower, Sneezing Unicorn, Smokey Quartz or Bruised. 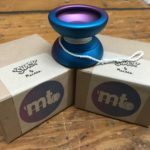 The total retail value of this Month’s throw is $78.00. 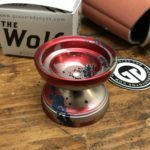 This month’s throw is from YoYoZeekio. The SPECTRE is light (66 grams) and exceptionally strong. 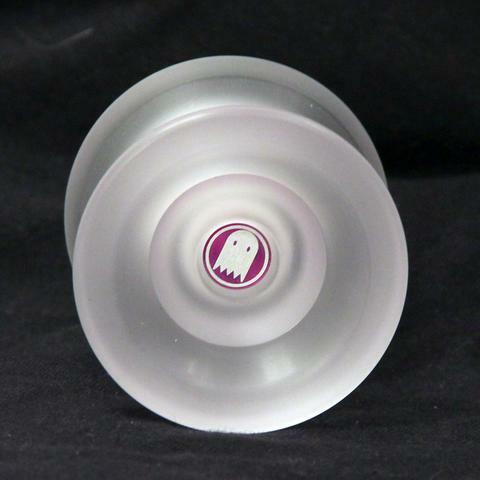 The Spectre is full sized at 57 mm in diameter and plenty wide at 46 mm. Its modified “H” shape is perfect for landing string tricks. The Spectre plays a little floaty but solid. 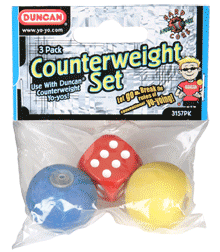 Accompanying this month’s throw is a narrow responsive bearing with a YYZ sticker and a Counterweight 3 pack from Duncan. 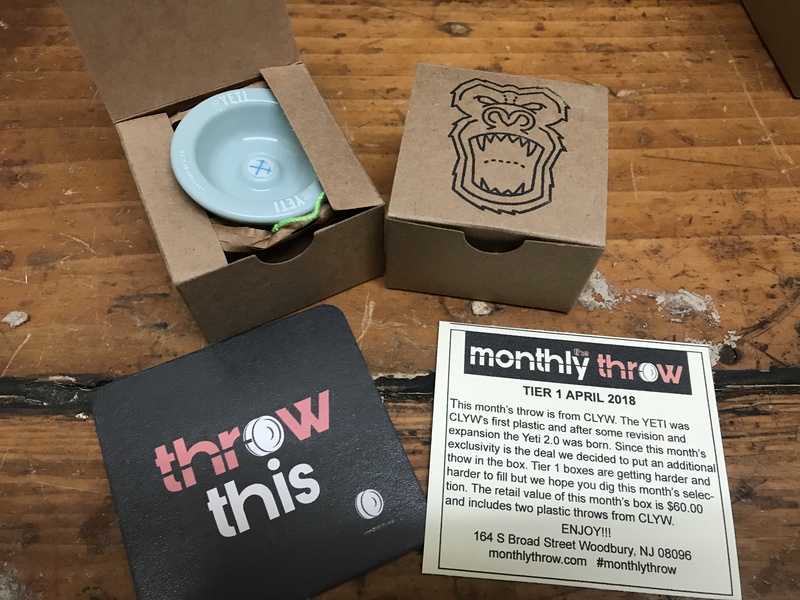 The total retail value of this Month’s throw is $35.00. 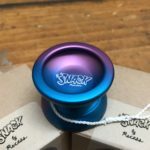 This month’s throw is a collaboration from OhYesYo & 2Sick. The KNIGHT & GALE has one of two amazing color ways, a coral and teal mix and a neon pink with gray base. 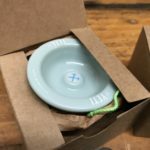 Two great yoyo companies come together to make an awesome yoyo. It’s smooth, stable, reliable and a great all a rounder as well. Super interesting weight distribution and really great at finger spins. Included is a fidget that a friend of mine makes out of a local bike shop and some TMT bearings! 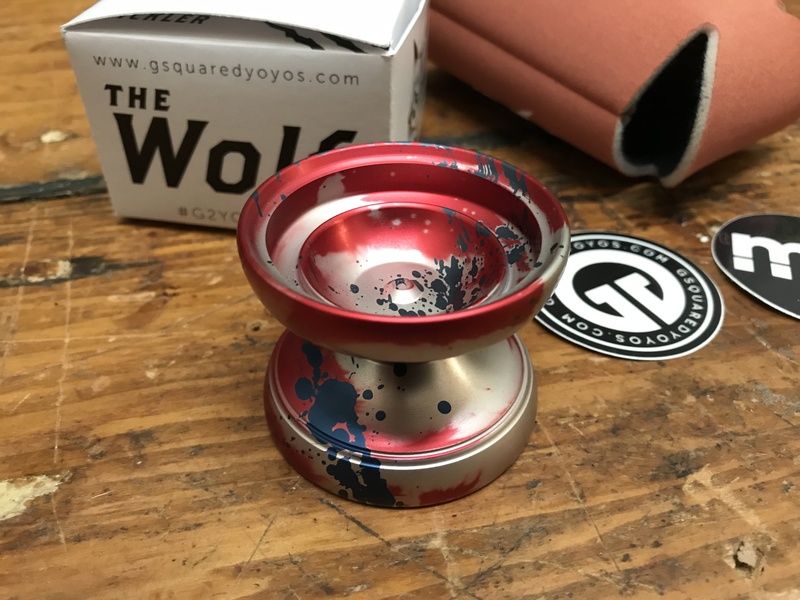 This month’s throw is from YWA. The SKRILLA has a bright yellow exclusive color way. The Skrilla is designed to basically be very fun and comfortable in hand yet be very high performing. This is achieved by the shape, organic like rims that cut down into a v like shape. The weight is 65.28 grams, the width is 44.2 mm and the diameter 54.8 mm. The value of this box is over $65.00 and I hope you enjoy this amazing throw.